Students learn about important people in Texas during its early statehood. They learn about the first governors, when they served, and how they helped Texas. They examine the biographies of Senators Rusk and Houston and identify important things they did for Texas. Finally, they learn about Jane McManus Cazneau and how she made an impact on Texas. 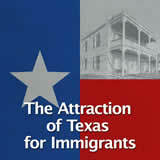 In this experience, students learn about important people in Texas during its early statehood. They learn about the first governors, when they served, and how they helped Texas. They examine the biographies of Senators Rusk and Houston and identify important things they did for Texas. Finally, they learn about Jane McManus Cazneau and how she made an impact on Texas. Identify early statehood governors, when they served, and important details of their time in office. Explain important accomplishments that Senators Houston and Rusk made for the state of Texas. Identify why Jane McManus Cazneau was important to Texas. 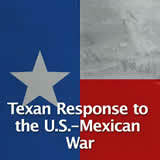 Many Texans had wanted annexation into the United States following the end of the Texas Revolution. 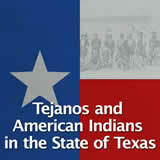 In December 1845, Texas became the 28th state to join the United States. 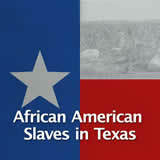 Along with annexation, Texas had to create a new state government and write a new constitution. 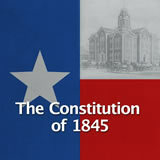 The Texas voters approved the new constitution by a vote of 4,254 to 267. 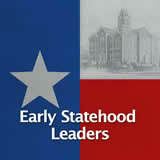 In this experience, you will learn about some of the early leaders of the state of Texas. This was an exciting time for Texas and there were many men, and a few women, who made important impacts on Texas as the leaders in the new state. One leader who was important to Texas was not actually a Texan. President James K. Polk was the president of the United States. 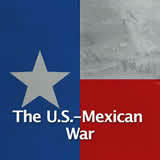 One part of his successful presidency campaign was his promise to annex Texas into the United States. Polk signed the Texas Admission Act, finally making Texas officially part of the United States. 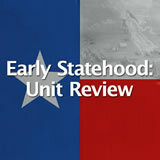 Who were some Texas leaders from the Early Statehood period? Name as many as you can. Separate them with a comma, like this: George Washington, Thomas Jefferson.